Achieving the best return on investment possible is a critical factor when outsourcing, but so is confidence. 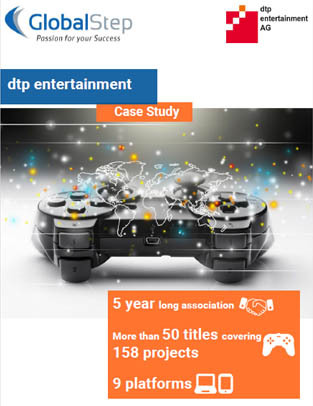 dtp was looking for stable performance coupled with volume scalability as it was expecting a significant volatility in capacity needs due to changes in its publishing strategy. “During the life of various projects with GlobalStep, the Project Manager, Technical Lead and QA Testers were all very efficient and helpful,” adds Windelen.